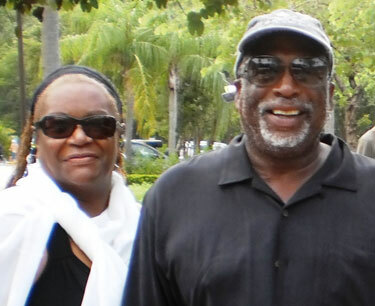 Black Boaters Summit is a yearly event planned by Cap’n Paul Mixon and his wife Marvelle. 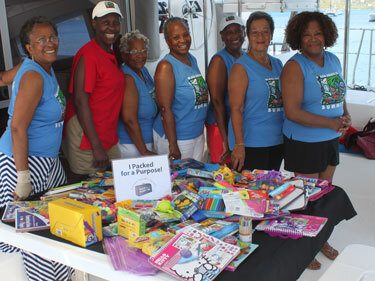 The Black Boaters Summit event brings together sailors that hail from all over the United States. 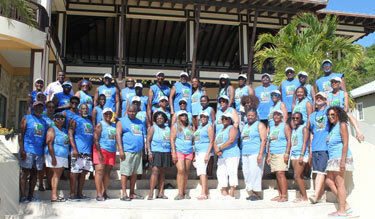 Last month, Black Boaters concluded its 17th annual sailing summit in the British Virgin Islands. Every year the sailing itinerary includes spending time at the beautiful Scrub Island Resort, but this year was a little different! “It all started while I perusing the Scrub Island Resort website”, I noticed that they had a Packing for a Purpose logo on the site that peeked my curiosity. I had never heard of this organization, but I was looking for ways to give something back to the beautiful island and the people that make our visits so memorable”. I did some research and found an article in the Black Meetings and Tourism online magazine. I discovered that Scrub Island Resort was a partner with Pack for a Purpose and I knew this was something we had to do. I went to the Pack for a Purpose website and found that many people from around the world were working with this organization to make a difference. 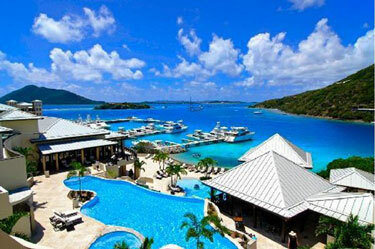 The website was easy to navigate, and I found that the Scrub Island Resort was collecting supplies for the Autism Center on Tortola. I quickly drafted an email to my group with the link of what they needed and the project took hold. The emails started rolling in. Their biggest concern was how much can I bring on the boat? I helped everyone figure out a way to follow their hearts and in a few days seven of us decided to pack a little lighter or pay for the extra bag to give a little something to a worthy cause. Within minutes of posting the cause on my website, Rebecca Rothney, the founder of Pack for a Purpose, was on the phone calling me. She was so helpful and introduced me to the contacts at Scrub Island Resort who would help me get our donations to the BVI Autism Centre in Roadtown, Tortola. I want to thank Heather J. Roose, Leisure Sales Manager for Scrub Island Resort and Dale Mapp, Restaurant Manager for Scrub Island Resort. Dale was the person who identified the needs for this organization and was responsible for getting our donations to the center. We had a chance to speak with Dale, and he shared with us how much our donations would mean to the Autism Center. Although we did not get the chance to visit the Autism Center this year, we plan to make this a yearly effort and next year we will include a visit to the Autism Centre in our itinerary.